Dentists can now manage dental marketing for all of their practice locations with the New Patient Marketing Machine™ from Internet Dental Alliance, Inc. (IDA). Dental practices with multiple locations benefit from being able to track the effectiveness of their marketing campaigns. With IDA's New Patient Marketing Machine™, doctors can quickly launch campaigns to attract more high value patients. Dental practices with multiple locations have their own set of dental marketing dental marketing challenges. Multiple doctors serving different patient treatment markets in more than one office can escalate marketing expenses if campaigns are not properly planned, executed and tracked. IDA's New Patient Marketing Machine™ offers a solution to this potential cash drain. Dentists can manage marketing and tracking for all of their associates and locations from the online Control Panel. The dental marketing Directories are a powerful component of IDA's New Patient Marketing Machine™. They feature the kind of authority content that prospective patients search for online to help them understand more about the treatments they're considering. The Directories have been optimized and pre-positioned to attract search engine traffic for both local and focus keywords. From the Directories, prospective patients are funneled to individual practice websites that match with their geographic location. IDA's New Patient Marketing Machine™ excels at managing dental marketing for those large practices which use multiple Web Portals, have more than one location and several doctors. 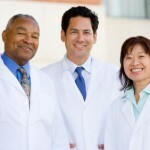 For example, there may be three different doctors who work out of the same location, but who serve two different markets. All three doctors would be listed in the Control Panel database. But the doctors will be listed on two different websites, each associated with a target market -- the Braces website will list two orthodontists, and the Cosmetic Dentistry website will list only one doctor, although both websites will display the same location information (address, phone number, etc.). The Control Panel allows changes to be made to both websites, and to all three doctor profiles from one interface. IDA is North America's largest provider of dental directories, websites for dentists and email patient newsletters. It completed its unique Lead Fire lead generation system in 2012. LeadFire technology automates dental SEO and content marketing and allows doctors to begin generating new patient leads within minutes of set up. It automatically optimizes IDA Web Portals for each dental office using geo-targeted local search terms. Internet Dental Alliance provides online dental marketing dental marketing services such as dental website design, marketing newsletters, and other dental management advice and resources.